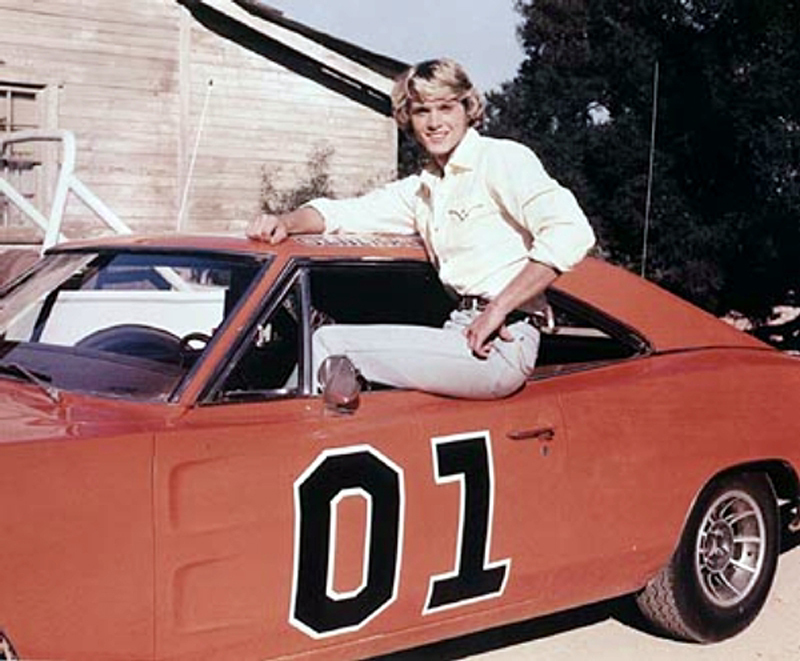 John Schneider in "The Dukes of Hazzard." "The Dukes of Hazzard" television series (CBS 1979-1985) was filmed at Disney's Golden Oak Ranch in Placerita Canyon, the Warner Bros. Ranch in Lyon Canyon, and at other locations around Newhall. LW2155a: 600 dpi jpeg from 72 dpi jpeg | Online image only.